Upvc Hardware Direct are your one stop shop for replacement and upgrade upvc window & door hardware. We supply upvc door handles by Hoppe, Fab & Fix, Avocet Hardware, Cego, ERA, Millenco, Winkhaus & many more. Here at Upvc Hardware Direct we also stock high security door handles & high security door locks by Yale, Avocet ABS, Hoppe & Mila covering all TS007 star ratings. 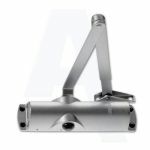 Avocet ABS Snap Secure Door Cylinders provide the top level of security without the need for a high security door handle, the Avocet ABS is the first high security door cylinder to acheive TS007 3 star rating, Secure by Design & Sold Secure Diamond Standard. 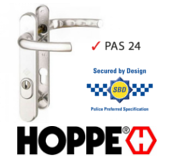 Alternatively, we supply the Yale AS Series and the Yale Superior Anti Snap euro cylinders which both acheive a TS007 1 Star rating so when combined with one of our TS007 2 Star high security door handles by Hoppe or Mila acheives an overall TS007 3 Star rating.